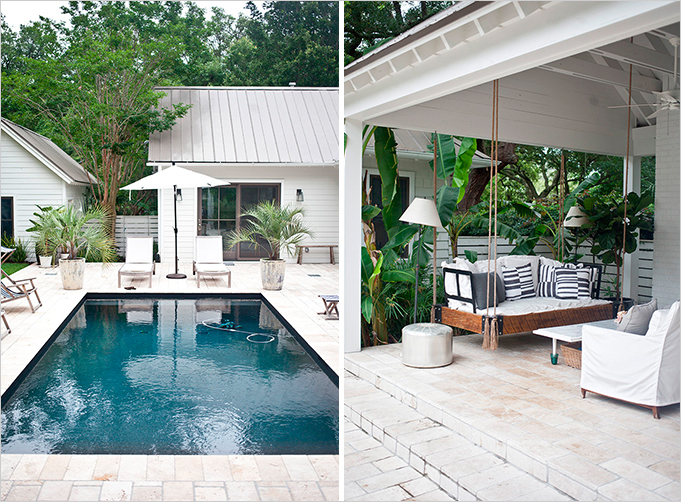 This is one gorgeous bungalow from Rue Magazine! Love the shot of purple and green in the living room and the mix of wood and white. The clapboard walls against that amazing wood floor are simply beautiful....but the outdoor patio and pool are the best! Oh I can not wait to get outside and into our pool! So dreaming of warmer weather!